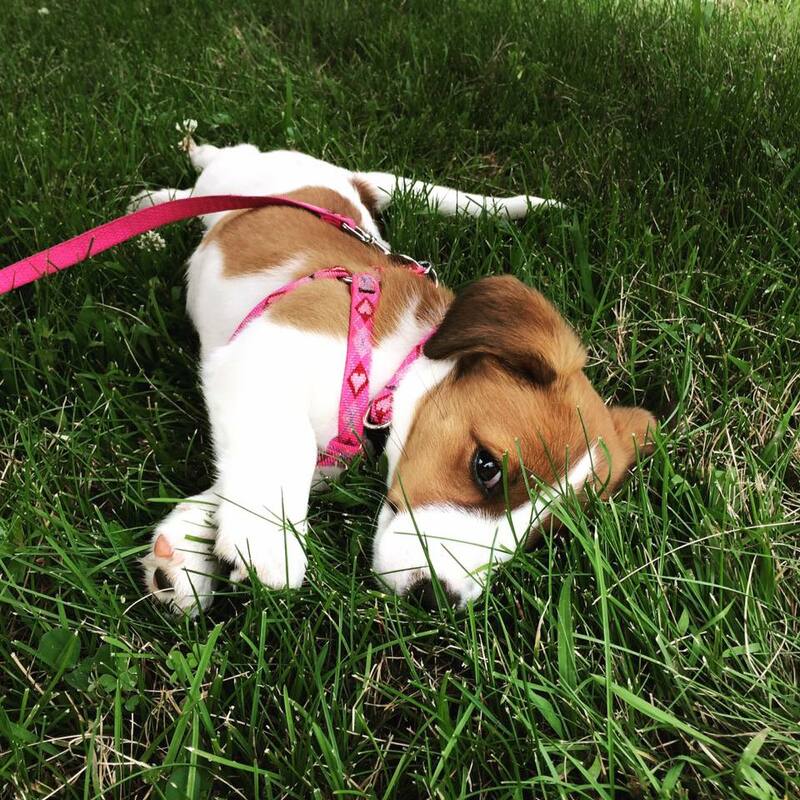 We raise our Jack Russell Terrier puppies with a balanced mix of science, nature and experience. We seek to have as natural an upbringing as possible for our puppies while inserting important experiences at development appropriate times. We provide as stimulating an environment as possible as the pups physical and mental development allows them to engage. We do not want to do too much too soon but we want to stretch and challenge the pups, both physically and mentally, as they grow. We slowly increase the complexity of the puppies environment as their eyes and ears open and they become more coordinated and their minds can handle problem-solving. We will also let them get themselves in and out of trouble, solving their own problems, while ensuring their safety. All of our efforts focus on making each pup the best that it can possibly be. 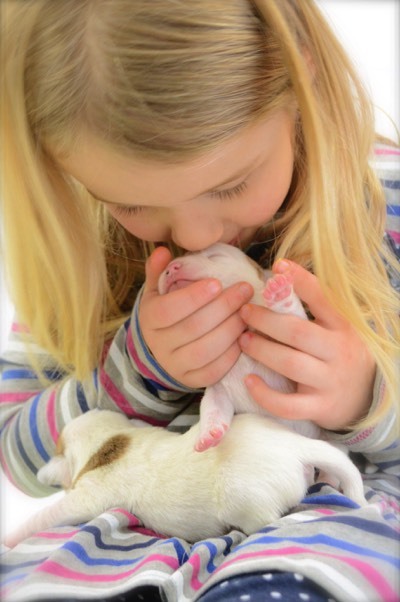 We raise our Jack Russell Terrier puppies in our home to ensure their development includes the sounds, activities and smells of a typical home. Bio-Sensor exercises from 2-14 days. We use a puppy exercise pen filled with opportunities for complex problem solving. *problem solving as in: toys, puzzles and obstacles. Outdoor walks from 6 weeks on - weather permitting. Training: conditioned to come, introduction to crates and alone time. Free access between dam and litter mates until the pups go home. Interaction with other dogs of different sizes. Socialization with many different people, not just their caregiver. Swimming in kiddie pool or bath tub - depending on weather. A large puppy pen/area filled with physical challenges--moving items and puppy agility equipment. Introduction to housebreaking as well as pee pads and/or litter-box focused training. Only premium puppy kibble fed. Omega 3 supplementation before and after birth for brain development. Introduction of solid food at four (4) weeks. Worming puppies at 2, 4 6 and 8 weeks of age. We do not remove dew claws or dock tails. 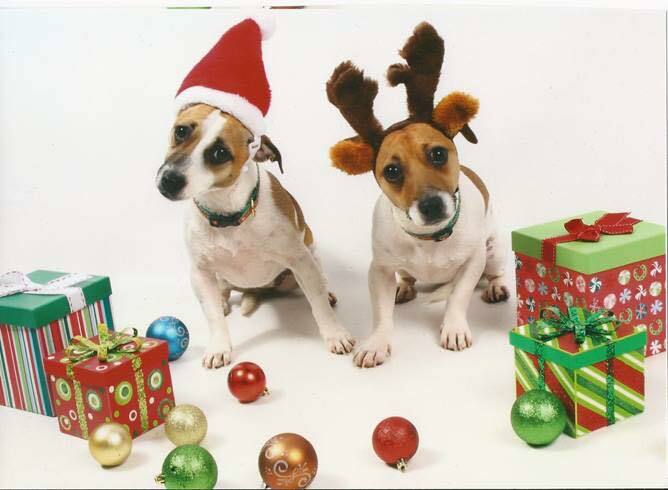 As you can see, the Connemara breeding program is set apart from all other Jack Russell Terrier breeding programs. As well, we are breeding a distinctly different type of Jack Russell Terrier. The Connemara is healthy and hearty to begin with. 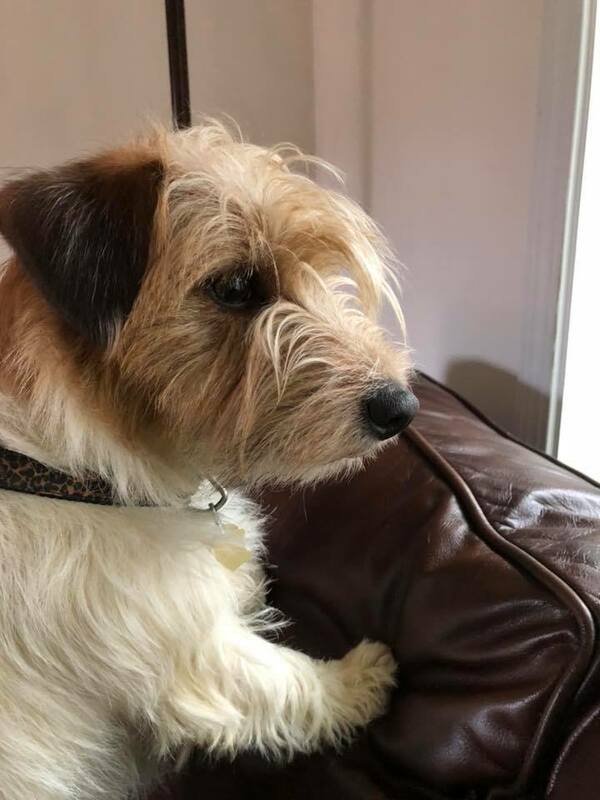 Our breeding program further assures that as puppies, they will have appropriate experiences at appropriate times and develop into the kind of terrier you will come to appreciate. Kylemore Jack Russell Terriers in Massachusetted breeds our Connemara line. Same as Roundstone Jack Russell Terriers in New Hampshire. They were once upon a time clients of ours. They have helpeds us continue our lines. Both have the same philosophys as we do and were mentored by Sheila. This is "Angus". 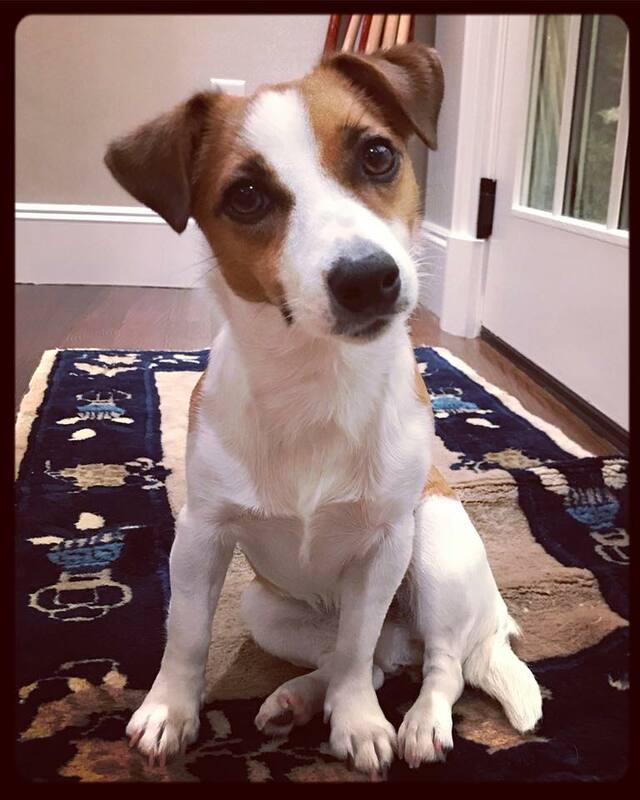 He is a sweet little jack russell fella that everyone falls for. 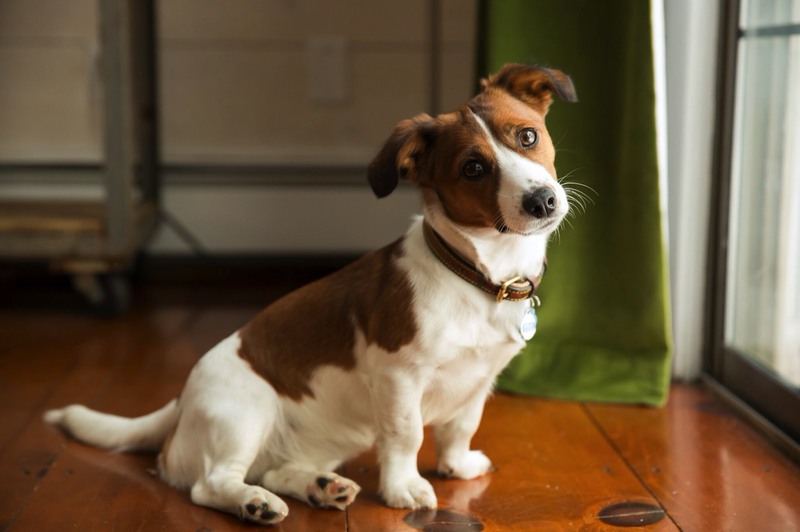 He lives with his big brother and sister, both Connemara jack Russell's, in Massachusetts. "Jackson" & "Hanna" just made it into the workman 365 day calendar with this photo. 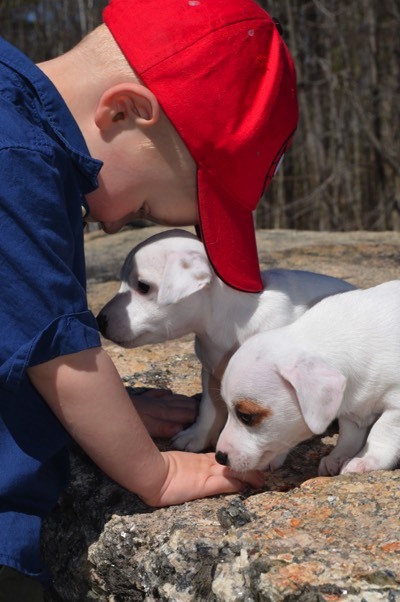 They live with their little Connemara jack russell brother "Angus" in Massachusetts. 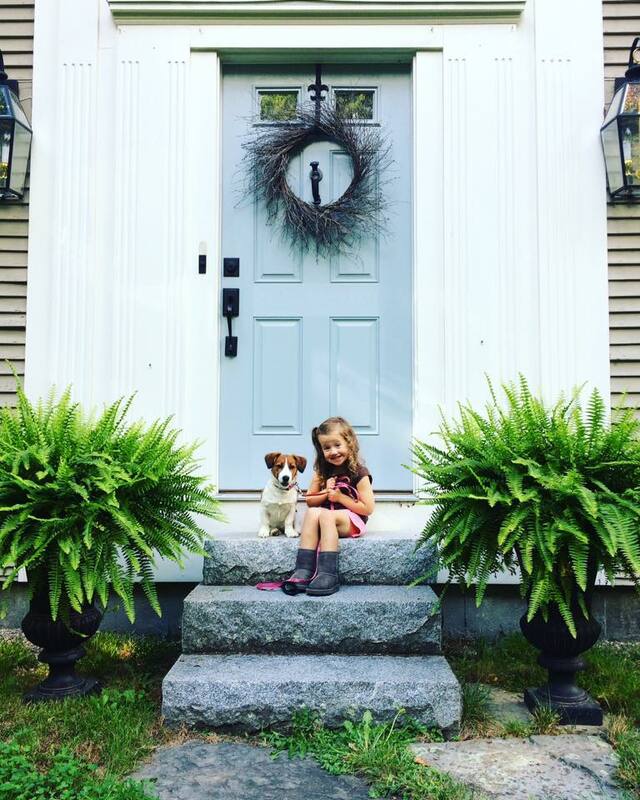 This little gem of a jack russell keeps her family on their toes in Massachusetts. These are Stephanie's children. Hudson & Lucy. They both are the greatest help in socializing the pups. Both are very gentle and have been brought up with puppies. They live at Connemara Terriers in Maine.